Hin Bus Depot‘s Sunday Pop Up Market serves as an avenue for various community activities including a small market featuring handmade products for sale by various individual sellers or small traders as well as performances by artists or musicians. Hin Bus Depot is located at Gurdwara Road (or Brick Kiln Road), George Town. 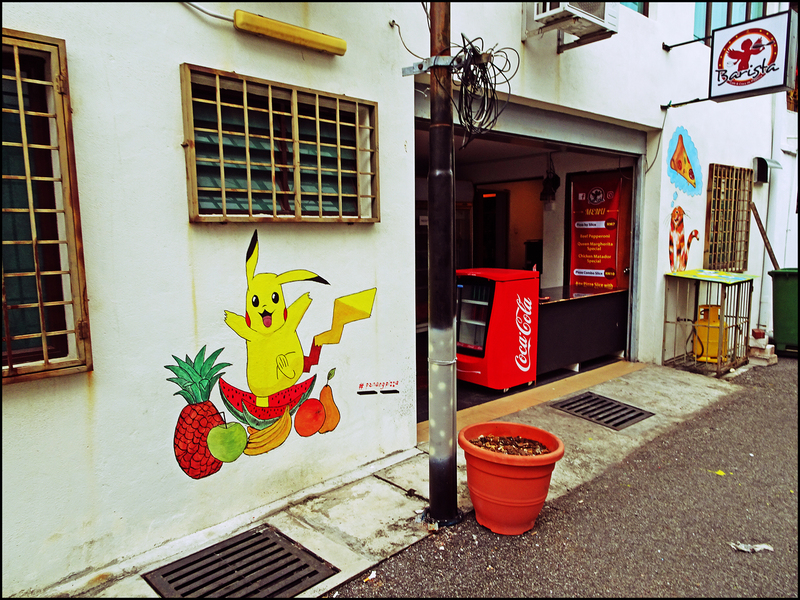 An alley filled with graffiti art works, which is located at Brick Kiln Road (or also known as Gurdwara Road) in George Town. Along C.Y Choy Road, one may chance upon this somewhat hidden garden alley tucked between heritage shophouses. 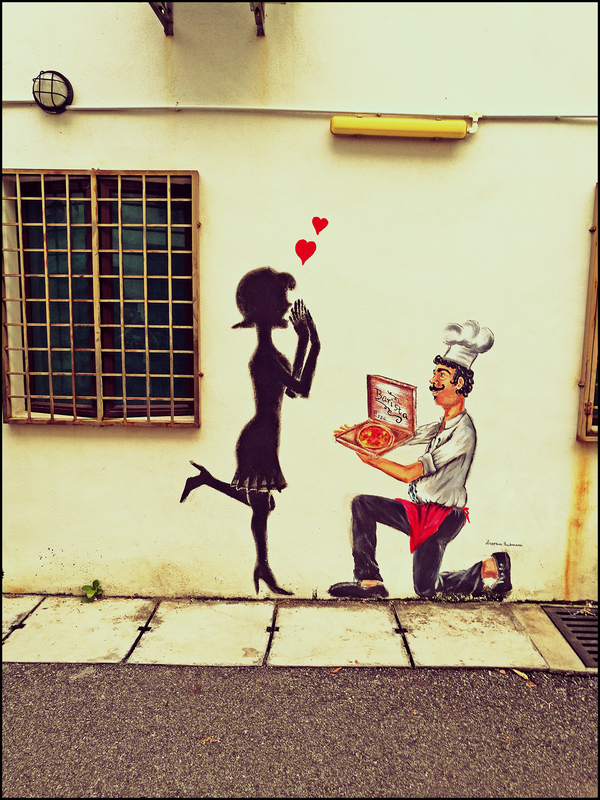 A street art mural depicting a ‘command prompt window’ painted on the wall of an old heritage townhouse located along Lumut Lane in George Town. Various street art murals lining up the wall along a small back alley at Armenian Street, George Town. Most of these wall arts have been commissioned by the local shops there to attract tourists who visit the popular street. 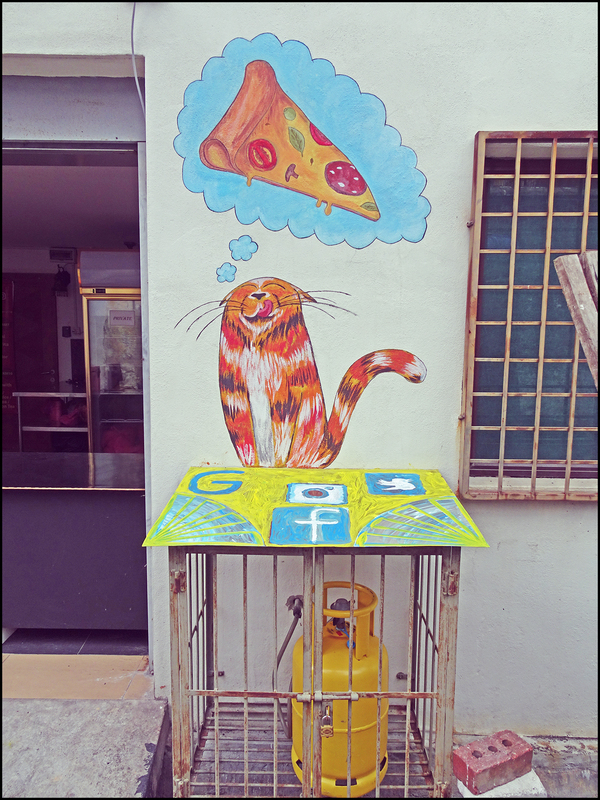 A street art mural painted by Spanish artist Sath, found in the ruins of a heritage building in George Town.